Take a trip under the sea with this little critter! This guy is perfect for a wall in your home, on your fence or by your entryway to welcome your guests. A must have piece for your coastal decor collection. 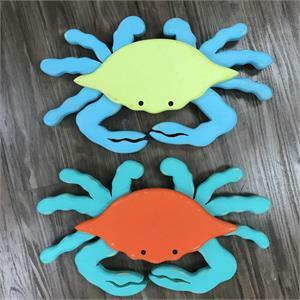 This crab is 12" inches tall and 21 inches wide. He is designed with the outdoor elements in mind so that he can be enjoyed for years to come.